Our children desperately want our approval. They look to us for guidance on everything and they absorb every word we say to them. So with just a few thoughtless words we can unintentionally tear our children down. On the flipside though, with the same amount of thoughtful, positive words, we can give our children the encouragement to feel secure, confident, and loved. Therefore whenever we are talking with our children, we need to be extremely deliberate about the language we use. Positive language is extremely powerful in our children’s lives and can make a profound impact on their success in life. So we’ve put together a guide of both the things you should never say to your children and the things you should always say. There have been thousands of child development studies on the power of language. Researchers have found that children who experience negative language in their crucial developmental years have lower self-esteem, become submissive, withdrawn, and in severe cases, self-destructive. While children in positive language homes flourish. They have higher rates of self-esteem and confidence; they do better in school and in personal relationships as adults, and are more empathetic and tuned into others’ feelings. So it is critical when we are speaking to our children we always think about what impact our words are having and if it is a negative impact, how we can adjust our language to ensure we always make our children feel safe and encouraged. Sometimes when the kids are nagging or bugging you when you are really busy, you may be tempted to just tell them to leave you alone. Unfortunately, telling your children to leave you alone creates a false belief that you don’t have time for them and will not be there when they need you. So if your child is pestering you, try to instead say something like “If you give mommy a few minutes to finish this, I promise we can talk.” This sets a boundary with your child but also lets them know you are still there for them. You may be in the middle of a task and need your children to move. You may even need them to move for their own safety. Instead of simply telling them to move out of your way, find a way to involve them in the project so they feel like they are helping. Even if the task you give them isn’t necessary, it will keep busy and out of your way, without making them feel like they are wrong for wanting to help. This is a surprisingly easy phrase to fall into. You start seeing a pattern of behavior with your child, so you start defining them by that behavior. Telling a child “you are so…” undermines their identity and can feel like rejection. Even if you aren’t calling them a really bad name, it pigeonholes your child and discourages them from making positive changes. Instead try to leave a child’s personality out of the conversation and just address the behavior. Crying can drive us nuts, especially when our children cry over silly things. However, telling our child to simply stop crying teaches them their emotions aren’t legitimate and that instead of dealing with them, they should hold everything in. So instead of telling them to stop crying, simply ask them to express why they are crying so you can work together to find a solution. Even though there are times where you children and making a terrible amount of noise, this is one of the worst things you can say to your children. Telling your children to shut up is both hostile and makes them feel like you won’t listen to them. So even when your children are driving you up the wall with their noise, just take a deep breath and explain to them calmly how they are being disruptive. Toddlers and children do not move at the same pace as adults. Between moving slowly and all the different distractions, children can take their sweet time sometimes. However, when you are in a hurry to get somewhere this can be very frustrating. Telling your children to hurry up only makes your children feel guilty; it doesn’t help them move any quicker. So the next time your children are taking their time, try helping them find strategies to help them move faster. Most of the time when we say this, we are actually trying to encourage modeling behavior. However, it makes our children feel like they are in competition and will often make one feel like they aren’t as good as the other. This can be extremely damaging for both their sibling relationship and your children’s self-confidence. So instead of comparing your children, celebrate their individual accomplishments. This is a natural go to, especially when your children are arguing with you and you don’t have time to explain your reasoning. However, it takes power away from your children. So instead of just dismissing their protestations, briefly explain your position and if you don’t have time, tell them you will explain why when you have some time. When our children do something really bad, it’s easy to get so upset that we tell them we’ll never forgive them. However, telling a child that they are unforgivable makes them feel like they will never be able to do anything right again. This can be extremely damaging to their self-esteem and your relationship. So even though you may feel it in the moment, just do not say it because the truth is, you will eventually forgive them. “I love you” are the most important words to say to your child. They show your child that you care about them and you will always be there for them. 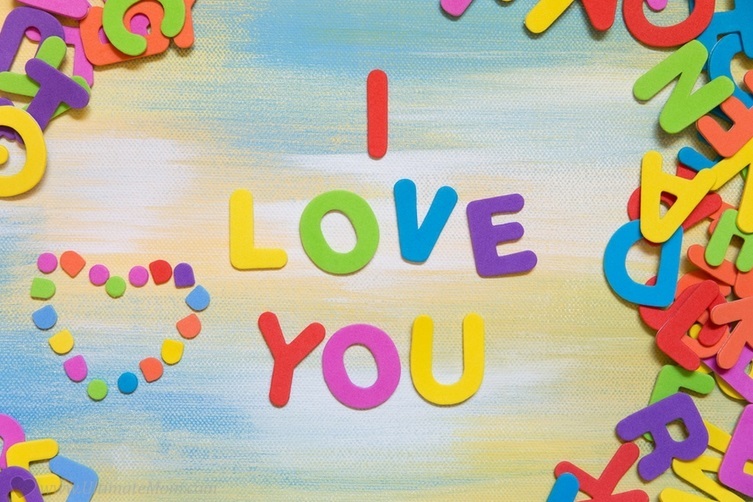 Saying, “I love you” to your child, makes them feel confident and supported. So make sure you say it to them often. Gratitude goes a long way with children. It makes the feel important and appreciated. Saying “thank you” also encourages them be generous and work hard. Furthermore, it teaches them basic social courtesies and to show respect others for all they’ve done. Also if you tell your children specifically what you are thanking them for, it positively reinforces good behavior. Apologizing is really important to children because it shows them that everyone makes mistakes, even their mother. It also shows that you care about their feelings. Finally, apologizing communicates that you understand that power of your actions and words and teaches your children to be more empathetic and to apologize themselves when they’ve done something wrong. Children need to feel heard and they need their opinions and ideas validated by us. So it is really important that when your children are telling you something, you encourage them to keep talking. Saying “I’m listening” is a great way to show your children you are interested in what they are saying. So when they are older, and with their peers, they will feel confident talking and sharing their opinions. Asking children their opinions encourages them to confidently express themselves and shows that you are listening to them. It also helps them develop critical reasoning skills so they can make thoughtful choices in life. So whenever you are making a decision that impacts your children, ask them what they think. Children are still learning. So they often feel a lot of pressure to do things right all of the time. Giving your children permission to make mistakes not only makes them feel better when they do make a mistake but it encourages them to keep trying. Making room for mistakes also teaches your children to accept that failure is sometimes a part of life and that when they make a mistake it doesn’t mean there is anything wrong with them. Telling your children they are capable of doing something is the best way to build their confidence. When you acknowledge your children’s capabilities, you give them the courage to try new things, practice their skills, and develop their strengths. It also helps them feel emotionally supported. Trust is an important aspect in any relationship. If you tell your children that you trust them, they will be feel they can communicate their perspective to you. It also helps them understand their responsibilities in relationships and gives them strength and confidence to make smart decisions. Letting your children have a say in the things that impacts them helps them feel independent. It also teaches them their choices have consequences. Plus it helps them develop their critical reasoning and decision-making skills. So allow your children the freedom to make their own decisions. Positive language can really have an influence on your child’s development because our words have a serious impact on our children. Though we never mean to say negative things to our children, if we are not careful, our words can cause them to feel insecure, unimportant, and hesitant. However, if we remove negative phrasing from our language and focus on saying positive things that can build our children up, they will grow up to be strong, emotionally secure, and confident adults. So when you talk to your children, try to incorporate positive language into your conversation. Though it seems like a small thing, it can truly have a big impact on them.